LAHORE: (Thursday, August 16, 2018): Punjab Higher Education Commission Chairman Prof Dr Nizamuddin has said that skill-based education is aimed at market-based training of graduates and it would bring revolution in the country. 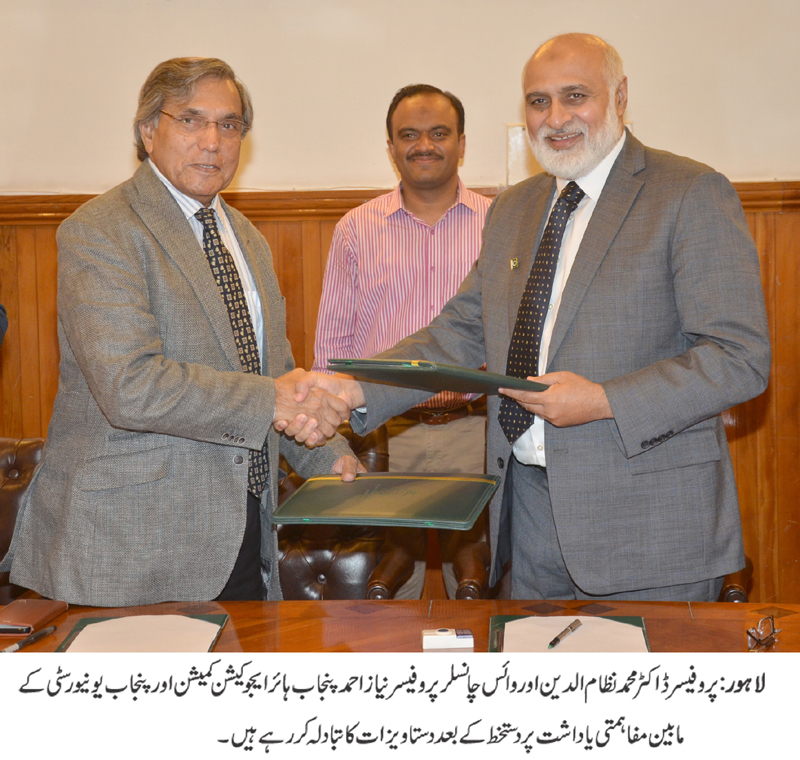 He was addressing a meeting after signing an MoU with Punjab University at PU Vice Chancellor’s office to promote skill-based education in PU’s affiliated colleges. PU Vice Chancellor Prof Niaz Ahmad, Director External Linkages Prof Dr Kanwal Ameen, Director General Punjab Higher Education Commission Dr Shahid Soroya and others were present on the occasion. Addressing the meeting, Prof Dr Nizamuddin stressed the need to promote entrepreneur culture and improve the quality of graduates. He said that PHEC was developing a mechanism to engage industry and area specialists in curriculum development for incorporating hands-on practical knowledge to enhance the academic content being. PU VC Prof Niaz Ahmed also stressed the need that the students must equip themselves with the relevant skills of their fields. According to MoU, PHEC and PU would jointly conduct general and specialized training sessions to acquaint faculty of the affiliated colleges regarding implementation of the semester system as per rules and regulations of PU. Furthermore, faculty trainings will be conducted on modern teaching methodologies for the courses being taught in the specialized disciplines offered through the community college program. The MoU would develop a mechanism for engaging the faculty of affiliated colleges in the external assessment. Both the parties would also explore the possibility of formulating articulation agreements between PU and the community colleges for vertical mobility of students choosing to continue their academic career through transfer to the 5th semester of the BS 4 years programs offered at PU. 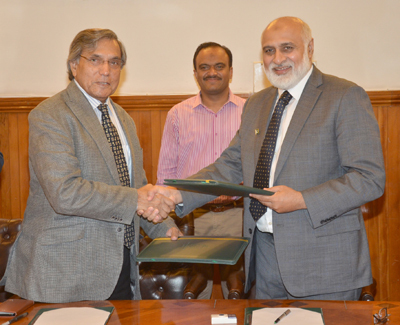 PHEC will mainly share the financial expenses in carrying out activities under this MoU with mutual consent.